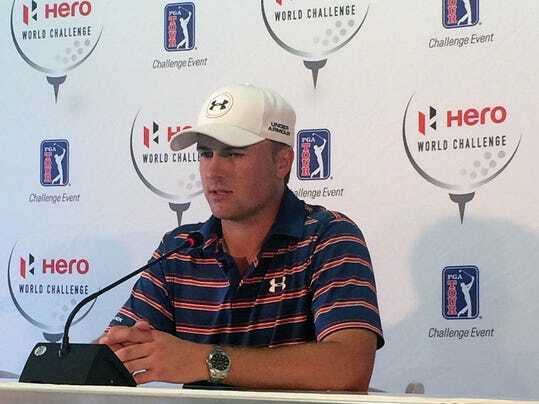 NASSAU, Bahamas (AP) — Jordan Spieth had good memories and a strong vibe when he showed up at the Hero World Challenge last year. It was held at Isleworth, where Spieth recorded an eight-shot victory for his first college title as a freshman at Texas. When he arrived at Albany Golf Club on Tuesday for his title defense, he was a little lost. The Ernie Els design is located on the tip of New Providence, though it is built just enough inland that the ocean can’t be seen from the golf course. It’s a beautiful place, with fairways framed by sand dunes and native bushes. This is the first year the Hero World Challenge is being held in The Bahamas, which would seem to make it a mystery to most of the 18-man field. But that wouldn’t include Adam Scott and Justin Rose, because they live here.